Everyone should know that America was originally home to Native American Indian tribes. Even today, Native Americans contribute in various ways, including in the state of Arizona. Some Native American reservations include the Hopi Reservation and the Walapai Reservations– in Arizona. The Hopi Reservation is surrounded by the Navajo Nation occupying northeast Arizona and southeast Utah. You would find a system of villages here based on three tablelands known as mesas. One of these villages is home to the Tewa people who live in the First Mesa. The Second and Third Mesa are occupied by the Hopi. The Walapai is another reservation. Walapai is derived from the Hualapai translation of the word for ponderosa pine which, when translated into English, means ‘people of the ponderosa pine’. The tribe has its own government, courts and constitution, although it’s within the United States. This independence allows them to follow and preserve their rich culture. 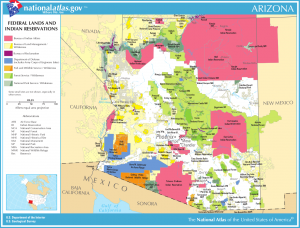 These are just a couple of the many reservations that can be found in Arizona. Others include, but are not limited to, the Choctaw, Navajo, and additional reservations that make up the 22 across the state of Arizona. Consider this visit if you are seeking an educational and culturally rich experience for your family vacation.